I love this Chocolate Coca-Cola Cake. 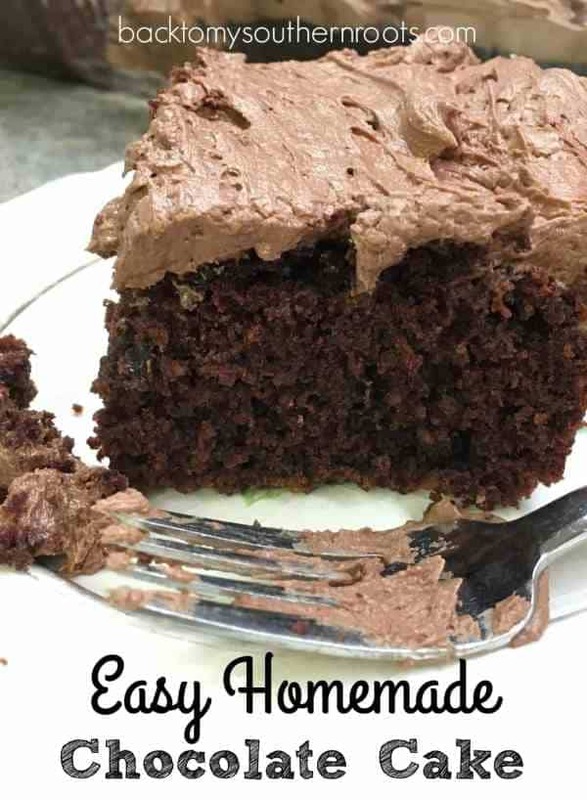 This is an easy moist chocolate cake recipe that makes enough to feed quite a few people. It’s a dessert you’re going to want to make again and again. This Chocolate Coca-Cola Cake recipe is such a treat. 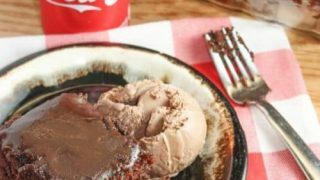 If you’ve been to Cracker Barrel and ordered their Coca-Cola cake, you’ll know what I am talking about. It’s good stuff. I took my youngest son there a few weeks ago and ordered two pieces to go. One for him and one for me. It was all I could do to not eat his piece once we got home. 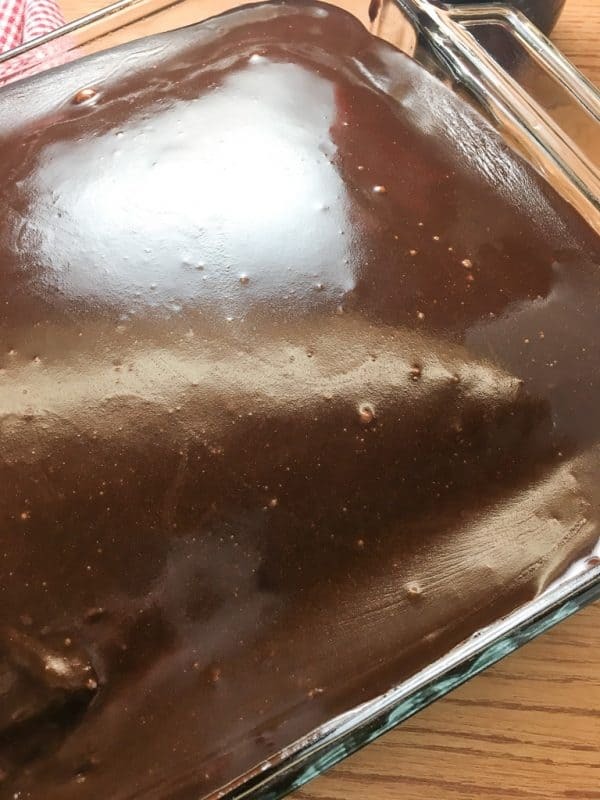 There are several steps to the recipe, but this was a pretty easy chocolate cake recipe, and I was glad to have more than one piece at home to eat (plus my son was glad I wasn’t trying to eat his). 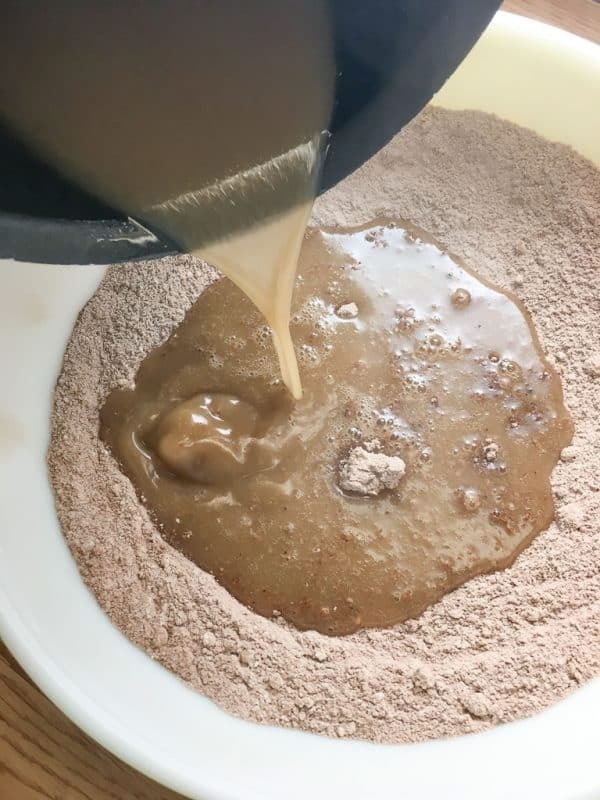 Add the sugar, flour, baking soda, and unsweetened cocoa to a bowl, mix together and set aside. In a saucepan add the butter, vegetable oil, and Coca-Cola. Bring to a boil. Once the mixture boils, pour it into the flour mixture and stir. 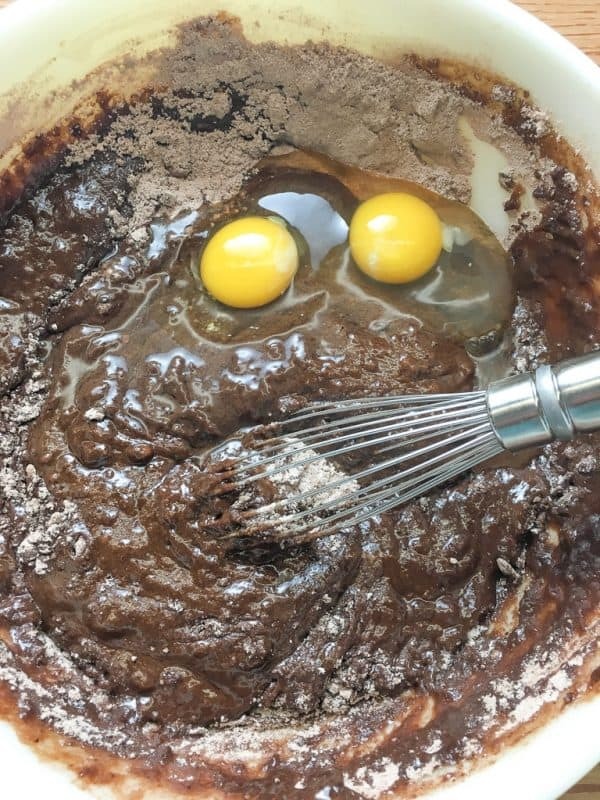 Make sure to completely stir the mixture into the flour before adding the eggs to keep them from cooking. I’ve added eggs to hot boiling liquids and accidentally made scrambled eggs. Oops. But, that’s how you learn. Vanilla is going to enhance the other flavors that are in the recipe. If you don’t have any vanilla on hand, that is fine, it will still taste wonderful. But, vanilla will always make it a little better. That goes for cookies, pies, and other baked items that call for it. Finally, add the buttermilk and stir everything together. Mmm…this makes it rich and delicious. If you don’t have buttermilk, you can use a combination of 1/2 cup milk and 1/2 tablespoon of lemon juice or white vinegar. Mix it up for a minute and you’ve got a great replacement. Buttermilk adds a bit of a tangy taste to anything that you make. I personally think it makes foods richer in taste. 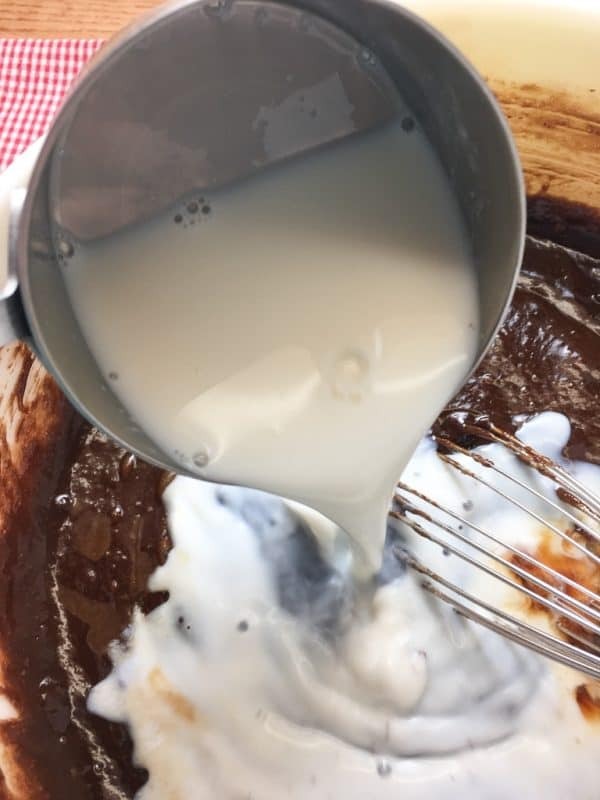 The buttermilk is also going to add some moisture to a homemade chocolate cake recipe, or any recipe that you add it to. 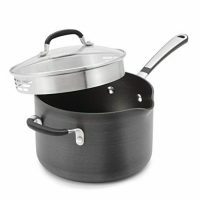 Pour the mixture into a greased 9″ x 13″ cake pan and bake for 30 minutes at 350-degrees. You’ll know it’s done when you stick a cake tester in the middle or a knife, and it comes out clean. I have a skinny little cake tester that I use so it doesn’t leave much of a mark when I am testing. 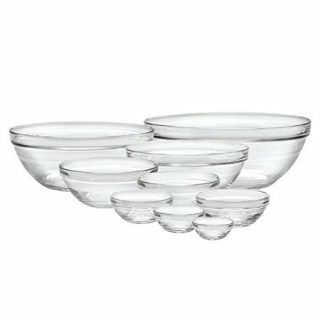 It’s inexpensive and works perfectly for cakes, bread, or anything you need to test. There’s a link to the tester down below in the recipe card. This chocolate Coca-Cola frosting is pretty amazing. You can use it on just about any cake you’d like to make. The Coca-Cola gives it a bit of a bite and sets it apart from other frostings. It’s pretty darn easy to make, too. 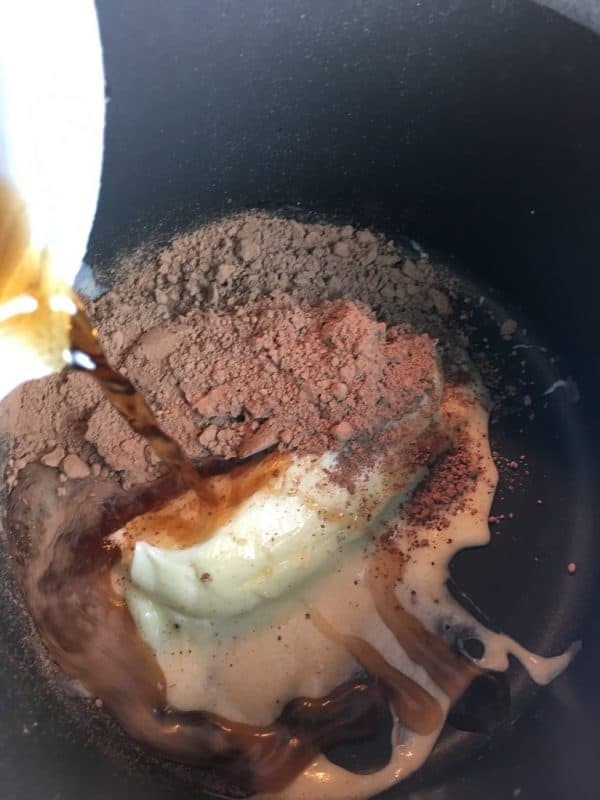 Add the butter, unsweetened cocoa, Coca-Cola, and vanilla to a saucepan. Cook on medium heat until melted and warm. You can add everything at once, or wait until the butter melts and then add the rest of the ingredients. Either way is fine. Add the chocolate syrup and mix together. It’s shaping up nicely. It starts out pretty lumpy, but by the time you’re done cooking the frosting, it will be nice and smooth. Finally, add the powdered sugar and mix well. Continue to stir until all of the lumps are gone. Let the frosting cool for about 15 minutes before pouring onto the cake. Otherwise, it all slides off to the sides. I leave it sitting in the saucepan off of the burner for a little while. Once it cools, be sure to give it a good stirring before pouring it onto the cake. Doesn’t it look amazing? You could almost make the chocolate cake frosting a meal all on its own. Let the cake and frosting cool for a few minutes before serving. 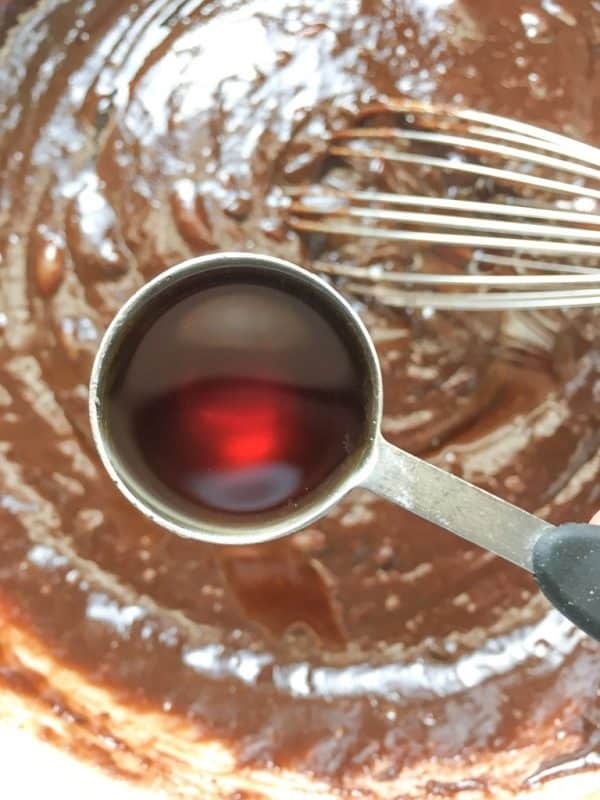 You will love the way the way the Chocolate Coca-Cola Cake turns out, and it will feed quite a few people. It’s the perfect dessert for holidays, church potlucks, and family get-togethers. 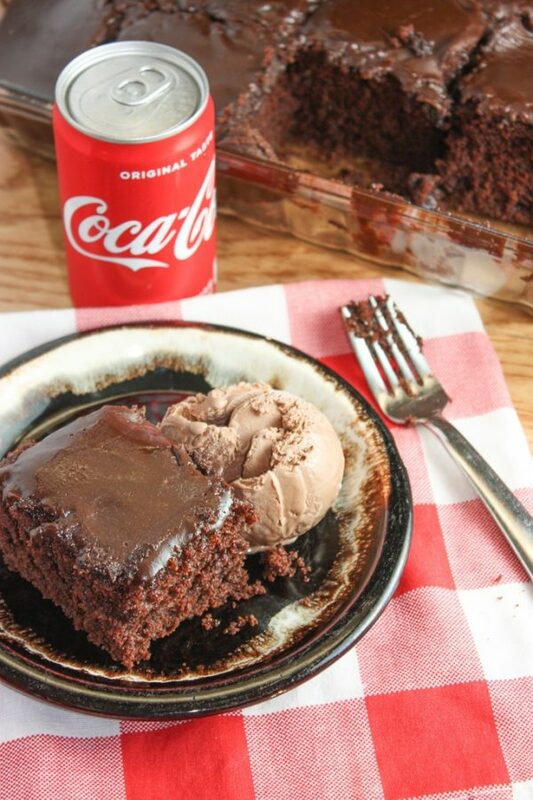 Chocolate Coca-Cola Cake is a delicious dessert that is perfect for any occasion. Preheat oven to 350-degrees. 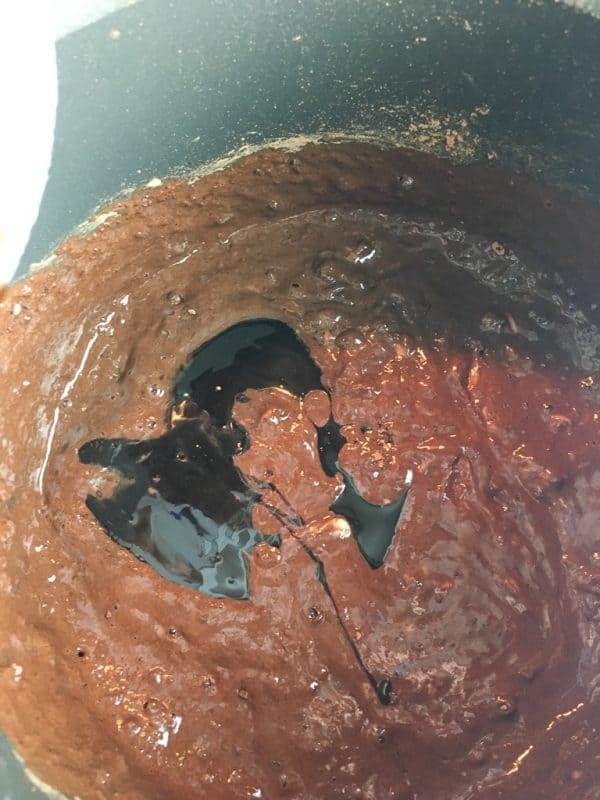 Grease a 9" x 13" cake pan. 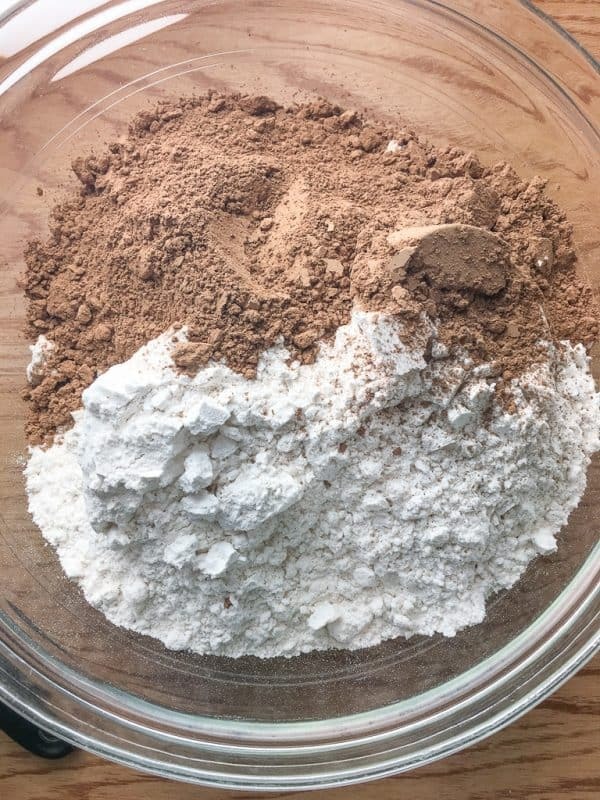 Add the flour, sugar, cocoa, and baking soda to a bowl and mix together. Set aside. Add the vegetable oil, butter, and Coca-Cola to a medium saucepan on high. Bring to a boil and remove from heat. Pour the oil mixture into the flour mixture and stir until well blended. Add the vanilla and eggs and mix well. Add the buttermilk and mix well. 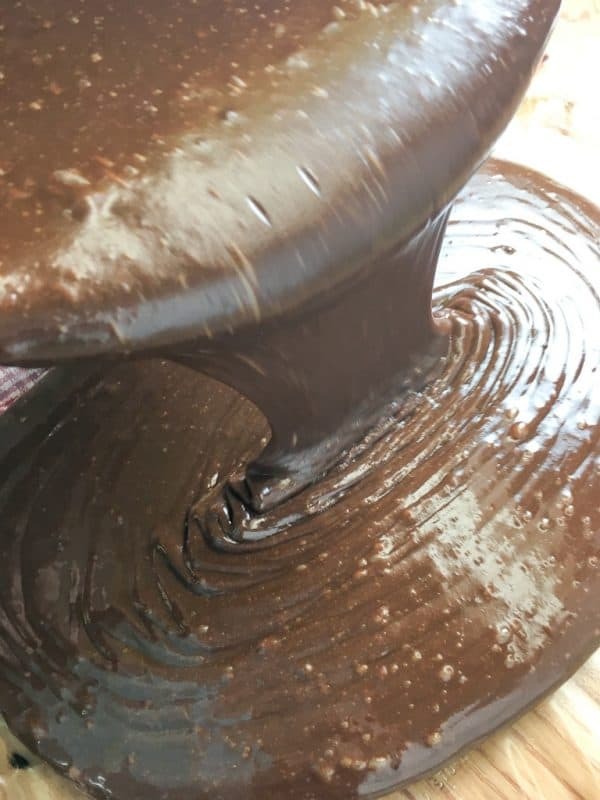 Pour into a 9" x 13" cake pan. Bake for 30 minutes or until cake tester comes out clean. Let the cake cool before making frosting. 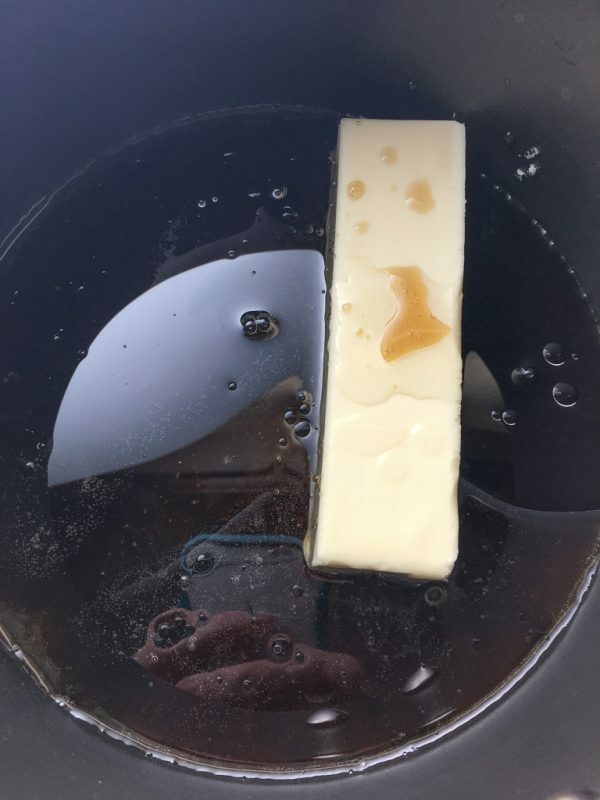 Add the butter, Coca-Cola, cocoa, and vanilla to a medium saucepan. Stir together and heat on medium. Add the chocolate syrup and mix well. 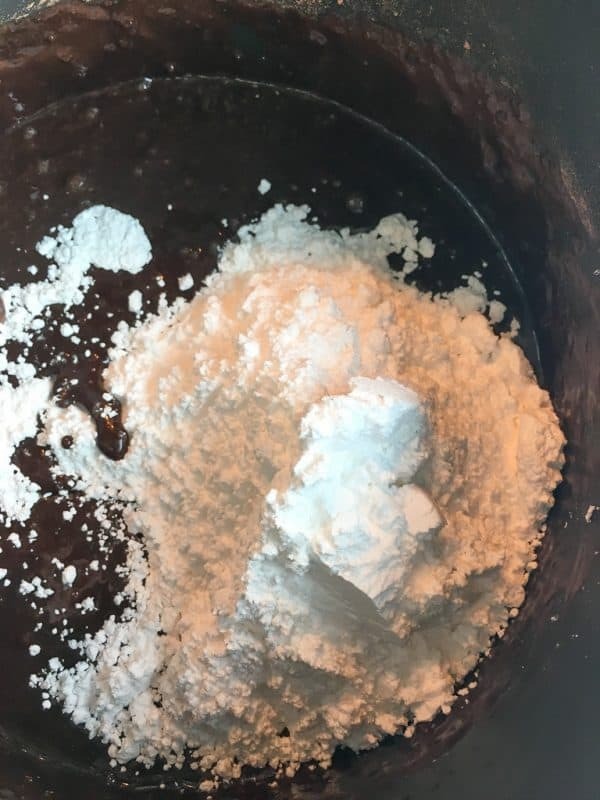 Add the powdered sugar and mix well. Stir until all of the lumps are gone. 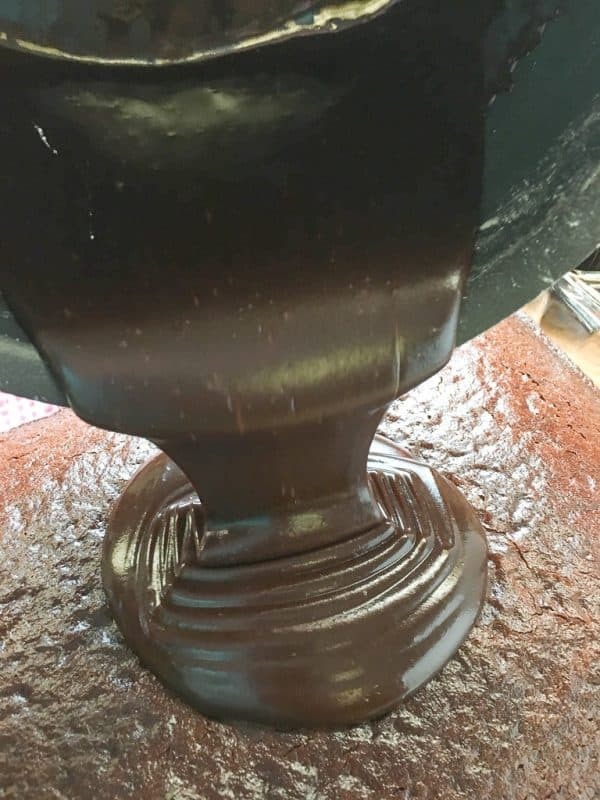 Pour over the cake and let cool before serving. 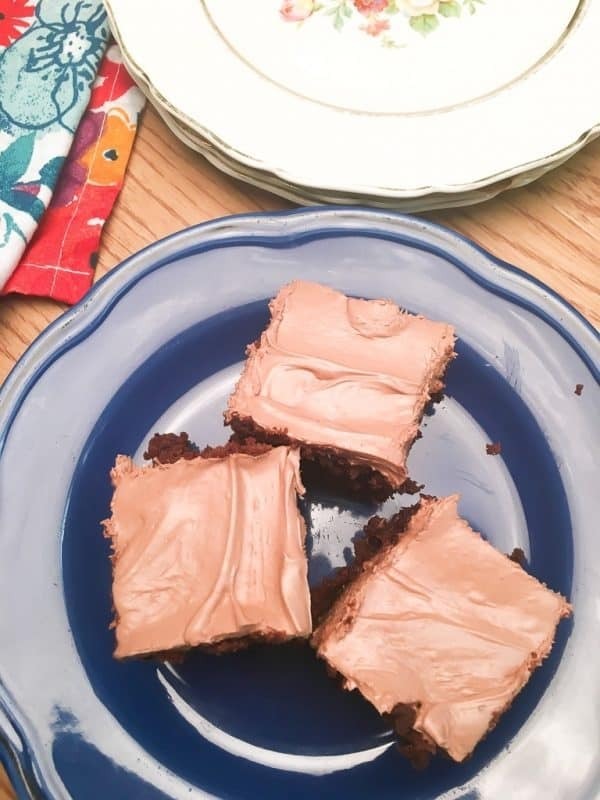 This Chocolate Cola Cake sound moist, delicious and different compared to fudge cake, because fudge is common and a new cake recipe like Chocolate Cola Cake does hit the spot for a unique taste. I might just try it to. Thanks for sharing. This recipe is timeless. Looks SO moist and delicious! Hi Michele! It’s a fun cake! Thanks for stopping by! Hi Kelly Lynn! I hope they love it! Thanks for stopping by. I always love to see you here or visit on your blog!! Very intrigued! I’ve made coca cola sticky chicken wings, but never a dessert. Need to try your cake asap! Pinned! Thanks so much for pinning! Coca-Cola sticky chicken wings sounds great, too! Thanks for stopping by! We will just love this delicious! Hope you are having a great week and thanks so much for sharing your awesome post with us at Full Plate Thursday! Hi Miz Helen! Thank you! Hope you have a great week, too! Love your site. I made this cake last night for friends. They said you know we do not like chocolate cake. They ate it anyway. Guess what? They loved it and I pointed them to your website. Hi Michelle! That’s great to hear. It’s a hard cake to turn down – it’s sooooo delicious and fun. Thanks so much for sharing that with me, and thanks for sharing my website!! Have a good evening. Yummy !! I wish I could reach through the screen and grab them all myself.